Went to the Made in Hawai’i Festival to eat the free samples. (There’s actually a $4 admission fee.) 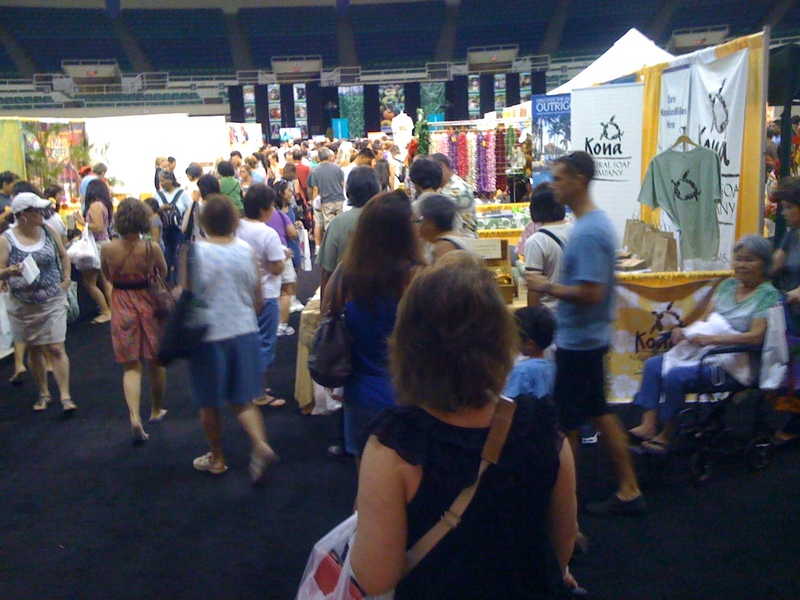 This is one of the largest events at the Blaisdell Center, using both the arena as well as the exhibition hall. There were food items, coffee, jewelry, clothing, art, woodwork, and live entertainment. Everything is local. Here’s the massive list of exhibitors. For those who do enjoy going to craft fairs, this one must have been made in heaven….